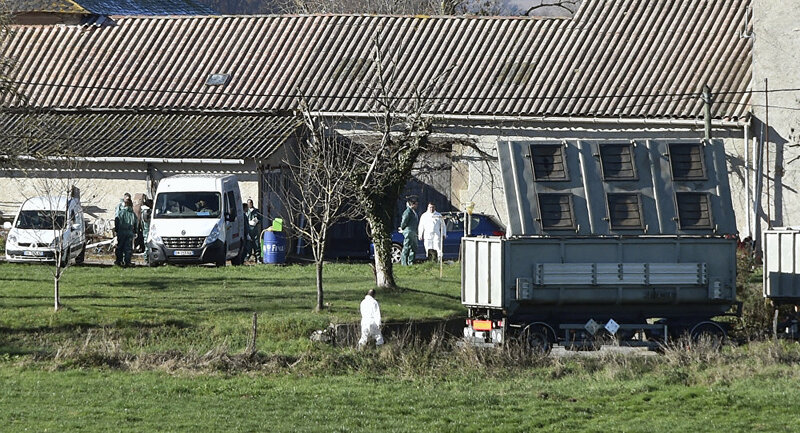 Several cases of H5N8 avian flu was discovered in southwest France, Ministry of Agriculture said on Tuesday. MOSCOW (Sputnik) — The "high risk" status has been extended to entire France due to a few cases of H5N8 avian flu strain discovered in southwest France, Ministry of Agriculture said on Tuesday. "Following the discovery of a few sites of H5N8 highly pathogenic strains of avian flu in the farms in the Southwest and a few cases [found] in the natural environment in Pas-de-Calais and Haute-Savoie, The Ministry of Agriculture, Agrifood, and Forestry decided to lift the risk level related to the infection to "high" on the entirety of the territory of the nation," the ministry said in a statement. On November 17, the risk level across France was lifted from "insignificant" to "moderate." The ministry called upon all persons who work at farms or visit them to adhere to strict security guidelines. Earlier in the day, the European Union halted poultry imports from Ukraine where avian flu was discovered in the Kherson region.